What you need to know for making safe trip to Egypt? Egypt is a famous tourist destination among those who wish to visit exotic location and take the enjoyment of architectural contributions and majestic monuments. The fact that the whole country has something or the other to offer is what makes holidays in Egypt truly memorable. There are plethoras of options to choose from when here. However, Egypt travel advice as below must be kept in mind to ensure great holiday to this enchanting land of pyramids. Tip 1 : Egyptian pound is the currency in Egypt. The banks in Egypt can be visited for getting currency converted. All the major debit and credit cards are accepted in various shops and hotels. The conversion rates in Egypt are much better hence it is good to exchange currency after arriving in Egypt. Western union branches are available in plenty should anyone run out of money during the trip. Tip 2 : Egypt being a Muslim country, one must be prepared to see things done very differently here. One of the valuable Egypt travel advice is to be prepared for a culture shock. Tourists are advised to be conservative in their dressing sense. Wearing of comfortable shoes is recommended than high heels as it can be very uncomfortable when walking on sand, uneven, rough cut stone and such other places and you might end up hurting your ankle. Tip 3: If organizing trip yourself without the help of any tour operator, it is wise to not rely completely on the travel books which often do not provide complete information. The hotel staff, local people and even the other guests staying in your hotel can also provide you with some extra information. The hotel staff can be informed about your day’s program, so that incase anything goes wrong they can trace you easily. Also one must keep a note of the phone number, address and the name of the hotel. Tip 4: When dining out it is good to take the advice of hotel people who can recommend you some of the best and hygienic places to dine in. 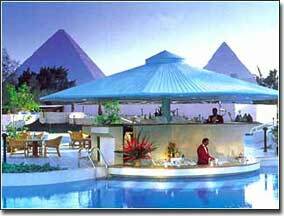 Also, in Egypt the 5 star restaurants serve great food at quite cheap rates. Hence, one can try those restaurants too without the fear of spending lot of money. The tap water though can be used for washing purpose must never be consumed. One must carry packaged water everywhere and consume lot of it to prevent dehydration. Tip 5: Egypt being a third world country, many people would be trying to sell small souvenirs to the visitors at high price. Try avoiding them and tourist can use the phrase “La shukran” meaning “no thank you” and move on. Souvenirs should be purchased from good shops to get quality stuffs at reasonable price. Tip 6: If taking the help of a local guide near any tourist spot, be sure to bargain for a good price because often the price quoted is quite high. The above list will be a good guide to those who are travelling to Egypt for the first time and will ensure that they spend a good time in the land of pyramids without having to face any problem.